We’ve had so many amazing retreats, led by a great variety of instructors who have passed through Anamaya and added a sprinkle of their own magic, and we often forget to take photos. 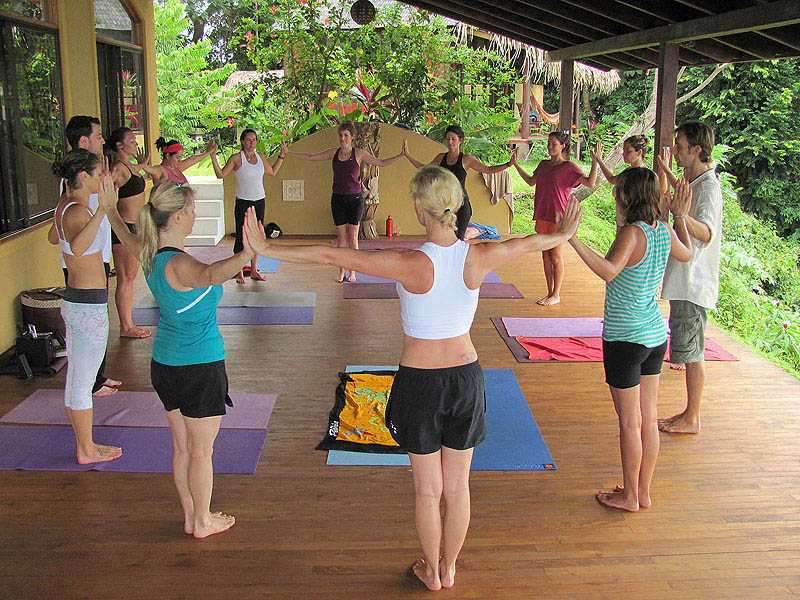 But we’ve managed to pull together a few of the best that show a bit of what goes on here during the yoga retreats. These photos show more of the class setting, but it’s not all work at Anamaya… we spend more time relaxing and playing, and so we have a gallery for that too. Costa Rica yoga retreat in Montezuma at Anamaya. 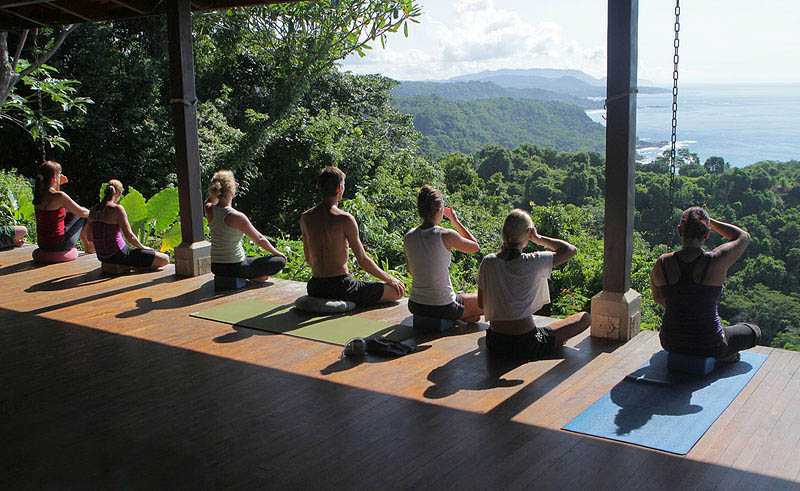 A typical morning yoga session overlooking the ocean and jungle. A group of girls enjoying Anamaya’s smaller pool in Costa Rica. Anamaya’s yoga deck can hold up to 24 people if we squeeze together, but the photo here shows our typical yoga class size. Some of the girls, from a yoga retreat, and their teacher, pose on the edge of our pool for an epic photo. A class with Joseph always begins with a few minutes of eye yoga, to build strength and flexibility in the muscles surrounding and inside the eye itself. A regular practic of eye yoga helps prevent the need for glasses.